You smother your grass with love—cutting it, watering it, nursing it through grub infestations and hot spells. But like any helicopter parent, your attentiveness could be overdoing it. The harsh truth: All that overwatering and aerating can weaken the grass, which, in turn, can wreck your house's curb appeal. To keep your front yard thriving, make sure you steer clear of these lawn care mistakes. Before long, your friends and neighbors are sure to ask, "How on Earth does your lawn look so great?" Because that's one of the goals, right? Who doesn’t like a manicured lawn? But if you cut your grass too often and too short, the shoots get weak and will be unable to produce strong roots. Weak grass won’t stand up to heat and is more easily overwhelmed by crabgrass and other weeds. 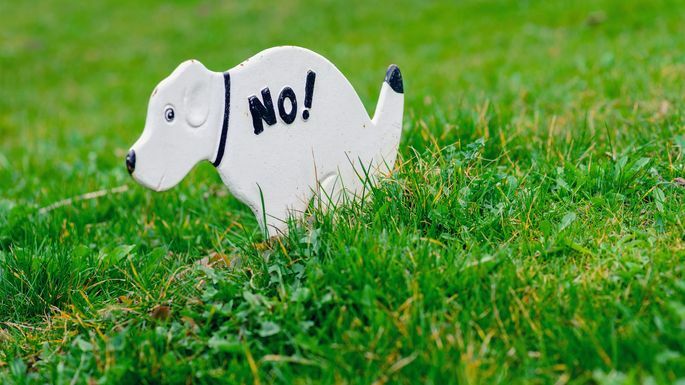 "Many people make the mistake of mowing their grass too low to the ground as a way to reduce the total mows in a season," says Missy Henriksen, vice president of public affairs for the National Association of Landscape Professionals. "But that can be damaging. Lawns at a longer height will retain more water and be less susceptible to weeds in the long run." The correct height for grass depends on its species. Tall fescue, for instance, should be kept relatively long, about 3 or 4 inches. The rule of thumb is to cut no more than one-third of the height of the grass at a time. This provides enough greenness to allow grass to photosynthesize and produce enough energy to survive the cut. Change the cutting height of your mower by using the adjustable levers at each wheel. It takes a few minutes, but it’s worth the time. 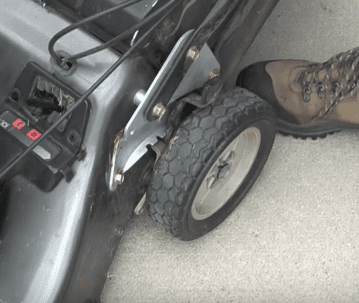 To adjust the cutter height, use the lever on top of the mower wheel. Also, make sure the mower blades are sharp to produce a clean cut that helps grass recover quickly. Dull blades tear the grass and make it more susceptible to disease. Sharpen blades with a metal file at least twice a year, or use a sharpening service that typically charges a small fee, usually around $10. You might think you’re doing your lawn a favor by giving it plenty of water, but the truth is you can easily drown your lawn. Water too much, and the soil becomes saturated, actually making it harder for roots to drink. Of course, if you water too little, the water doesn’t reach the roots at all and your lawn dies of thirst. The solution is to give your lawn about a third of an inch of water every other day during dry spells. Water in the morning, and keep an eye on the weather report for upcoming showers so you don’t water during those days. A well-fed lawn is a happy lawn, right? Not exactly. Just as with water, too much fertilizer can also hurt your grass. An overabundance of nitrogen—a main nutrient supplied by most commercial lawn fertilizers—causes excessive leaf growth and limited root growth, resulting in weak grass that’s susceptible to disease and drought. Also, heavy doses of fertilizerwill “burn” roots, causing them to shrivel. It’s best to use a slow-release fertilizer applied twice a year—once in the spring, when grass is growing rapidly, and again in the fall to strengthen your lawn for overwintering. Never fertilize in the heat of midsummer, or you’ll greatly increase the chance of burning grass roots. Another fertilizing tactic is to simply let the grass clippings fall on the lawn, rather than collecting them. Gradually they decay, form compost, and nurture your lawn. Do the same in the fall with leaves; mow over them, and let them remain on the dormant grass. You might love the cool, lacy feel of Kentucky bluegrass, but it might be the wrong turf for your yard. Planting the wrong type of seed can be a recipe for disaster and is one of many classic landscaping mistakes. That Kentucky bluegrass might grow great in your neighbor’s sunny yard, but your towering oak shades your backyard and might not allow enough sun to reach the lawn. Kentucky bluegrass grows best in full sun. Most yards are a mix of sun and shade, so when planting a new lawn use grass mixtures that contain several types of seeds. One popular mixture combines tall fescue (which is heat- and drought-tolerant), Kentucky bluegrass (which stands up to foot traffic), and perennial ryegrass (which establishes quickly and minimizes erosion while your lawn is growing). If a grass mixture won’t grow in particularly shady spots, try planting a shade-tolerant species such as red fescue. Or, forget about grass altogether, and plant ground covers like Pachysandra or even gravel. Pets like to go to the bathroom on the lawn. This is an undeniable fact of life. While it's better that they do their business outside the house instead of on your hardwood floor, the ammonia, salts, and high levels of nitrogen in pet urine fry grass and cause ugly brown spots on the lawn. If you start early, you can train your puppy to go in a special spot of the yard with gravel that doesn't mind a little piddle. But if your pooch pees on grass—and you catch him in the act—you should try to quickly water the area to dilute it.